Charlotte – August 9, 2018 – MBL Advisors Inc. is pleased to welcome three experienced advisors to enhance the firm’s resources in the areas of business exit planning and wealth management. Jonathan Dry, Brian Gift and William R. (Billy) Morton all join the firm as Managing Directors and were previously employed by U.S. Trust. Jonathan Dry, CFP®, CIMA® will focus on advising business owners, corporate executives and affluent families in helping them define both purpose and legacy as it relates to their family balance sheet and personal wealth. 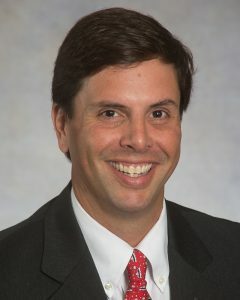 He has been with U.S. Trust for the last 14 years serving as a Private Client Advisor and a Senior Portfolio Manager. 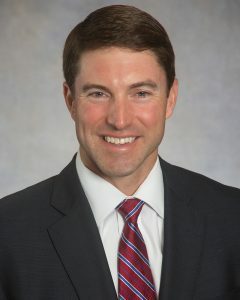 Jonathan earned a BSBA degree in Business Administration from the University of North Carolina at Chapel Hill, where he was also a member of the football team. 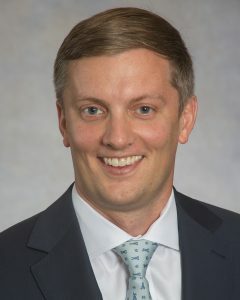 He later earned his MBA from the Babcock Graduate School of Management at Wake Forest University. Jonathan is a board member of the Charlotte Chapter of the Association for Corporate Growth. Brian Gift, CFA® will serve MBL Advisors as the firm’s Investment Strategist to tailor asset allocation and portfolio strategies for our wealth management and corporate retirement plan clients. He has been a Portfolio Manager with U.S. Trust for the last 12 years. Brian graduated from Elon University with a BS-Finance and has earned the Chartered Financial Analyst (CFA®) designation. Billy Morton will provide guidance and advice to affluent families and business owners from a wealth management, business planning and tax perspective. He has been with U.S. Trust for the last nine years as a Private Client Advisor and a Senior Trust Officer. He earned a BA- English from the University of North Carolina at Chapel Hill, and a JD (Doctor of Law) from the University of Georgia School of Law. Billy previously worked in the Closely Held Business & Tax Planning practice at Moore & Van Allen in Charlotte and at Murchison, Taylor & Gibson in Wilmington, NC in Trust and Estate Planning. We are excited to roll out our new corporate logo and website. MBL Advisors has evolved tremendously since the repurchase from Wells Fargo in 2009 so we thought the time was right to update our look to reflect our growth for the future. The oak tree in the new logo reflects the growth of the firm from our origin in 1985 as an acorn to a strong canopy of support for our clients today. Through our growth we have branched out in a number of directions but always held true to our core value of focusing on long term relationships first. We have stood the test of time and consistently offered our clients a high level of service and professional advice they have come to appreciate over time. Over the last several years we have expanded our scope of services to include business exit planning and wealth management in addition to our long track record of offering sophisticated life insurance solutions and executive benefits for successful companies. We hope the new logo and information on the website will bring a heightened level of awareness of our new services to our long standing clients and friends. The new website should create a user friendly browsing experience so you can fully appreciate our business focus going forward. Be on the lookout for some other exciting announcements from MBL Advisors over the coming weeks. 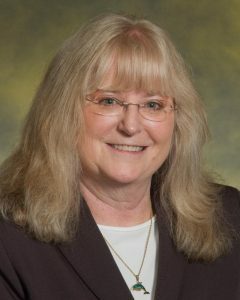 I’d like to take a moment to recognize Jill Bowermaster on her 30th anniversary with MBL Advisors. Loyal and dedicated employees like Jill don’t come along every day. She has been part of the firm through bull markets, bear markets, tax law changes, ownership and leadership changes. On snow days she was always the first one here and was usually the one turning out the lights in the office at the end of the day. Our clients appreciate Jill because she cares about them. She has filled a consistent role serving our clients, answering questions and paying attention to the details so they don’t have to worry. Jill has improved my quality of life and the lives of our clients. While Jill has had a great 30 year run, all good things must come to an end. We have been discussing her retirement for quite some time and she will retire at the end of July. We are splitting her responsibilities between Ragan Sheets, who joined the firm in May and Miranda Ross (Silinski) who is joining us on 7/16/2018. Miranda is getting married the first weekend in August so her email address reflects her new married name. In the meantime, feel free to reach out to Jill (jill.bowermaster@mbl-advisors.com) to congratulate her on her retirement and Ragan (ragan.sheets@mbl-advisors.com) or Miranda (miranda.silinski@mbl-advisors.com) to welcome them aboard.